Work for Micro Focus ALM? Learning about Micro Focus ALM? The Idea behind it that people with almost no programming skill can write tests. Thats it. Every other aspect of this product is bad. This product is highly frustrating to work with. It all feels static and slow. There are a handful of features but almost all of them did not work when released and most still do not work properly and crash the whole application from time to time. That is the biggest problem. Constant errors with no hint to what caused the problem, random crashes where no message is shown and all unsaved work is lost. Working with ALM and UFT together is highly problematic. Having two programs, one acting as the structural component and the other as the development component only works if there is a high frequency of communication between the two. There is not. Having the same functions in some parts like check-in and check-out mechanisms makes this important. The two programs sync every hour once. Yes, once. That means when UFT crashes, which it does, a lot, you will have to manually have an admin unlock it or wait up to an hour. Furthermore is the framework limited. There are many Elements UFT understands but a lot of things have to be done by work-around, this defeats the purpose of having a product that can be handled by people with little know how. To add to the disaster, the actual performance is excruciatingly bad. This product is used in my company for test automation and is by far the slowest scripted UI I have ever seen, and because of all the problems, working with it, I always thought: “why don’t we just code the test?” The only reason not to use other UI-drivers and automation through coding would have been usability. Small tests that consist of maybe 5 clicks a dropdown and one edit are manageable. Anything more complex will not work properly and falsify test outcomes due to errors occurring randomly. Since HPE couldn’t realize this, I can only conclude that this product has no use for test automation. This product will slowly fade away until UFT realizes that they should stop announcing new features when the base product isn’t even finished. Do not buy this. It will only cost you money and drive your employees mad. Do not buy this. Don't let the good idea fool you. This product is unfinished and full of errors. Test Automation, Process automation and management of said processes. "Earlier called as HP ALM"
This was the first Test Management tool i have used when it was called Quality Centre-Mercury owned, then owned by HP and now MicroFocus. Like the name suggests it is the complete 'Application Life Cyle Management tool' right from release management to bug tracking. 1) ALM hangs when we export more test cases to excel and it is slow. We never had good experience with the support. 2) Automation scripts kick off from ALM will be pretty slow when compared to kicking off the script directly from UFT. ALM Integrates with UFT for automation and it can be used as an isolated tool also. Customization's within ALM is very handy and useful. 1) Since this is a complete test management tool we will not have any audit issues as we maintain all the test articrafts within the tool. 2) Even though we open multiple instances of ALM , it still works and updates the history correctly. 3) Easy to generate customized document reports to share with clients about the test case details. 4) user authentication with LDAP is useful so we get to use single sign on. "Very Good at application life tracking "
Rich UI with good user experience. Ease to track an application history. Reports that can be generated are much appealing to clients. Options for problem description is much better in terms of UI and work also. Online platform takes less time to load the screen and this is unique among the tools that provide the same sort of needs. History section and versioning control section are really feasible in order to getting things done easier. defect tracking has highlights that can be used for sorting and assigning task in an easier way. Role based access was easy to get things move on. Desktop Client has some issue in windows platform . Generation of graphs needs some technical coding as well. Support to this was limited I felt. Community help is also lagging interms of help from support and users. This need some more additional detail with respect to windows application client. Documentation part needs some improvement. Some drawbacks when it comes to testing via this application. Good at generation customized reports. Easy to track application level defects. This can also be used in scrum methodology as well. "Extremely unpleasant tool to work with"
There is nothing what I really like. Grid view of bugs is good. Manual test plan design is quite good. Its thick client in browser. No way how to open another window. Slow, huge. No easy way how to enforce workflow. Some workflow states are default which are not possible to change from administration. I cant do links from defect to a lot of entities, but these entities can create link to defect. No back - forward button. Requirements manager is not really working as requirements manager. Do not even try, there are many more cheaper and better or similarly expensive and much better solutions. Actually there are OS solutions without license cost which will work better then this. Bug tracking, manual testing and test management. Only benefit is that testcases are stored and bugs are tracked. Its also quite easy to see requirements coverage. "Good one for Bug management system"
The best in market, simplicity and broader ways to integrate other project management tools with it. tool has a good GUI and better test data management mechanism. Notification mechanism and reporting features are also competitive. I dont like the fact that ALM only works well with Internet explorer and because of that it inherits all the performance issues from IE. Its very slow sometimes. there is improvement required in this speed context. look wise GUI is bettter but due Internet explorer thing , it freezes frequently. If you have a big team and bug tracking is a bottleneck for you, please use HP ALM. We are using ALM as our bug lifecycle management tool. The major benefit of this tool is its ability to integrate with HP's other testing tools which makes it a perfect automated testing framework. HP has a good team to provide support on proactively. "HP Alm is worth a try "
HP ALM is a good pack o services. Best feature that I liked in this was the ease with which it collaborates with Microsoft Visual Studio. This improves the productivity of the developer. I disliked its bug tracking feature as its not as accurate as its competitors. Rest all the feature were well and good. Developers behind this tool have put some work that is worth appreciating. Cheers, this is a software that one must try if they are looking forward to a good tool for software testing and Application Life cycle Management. I use it as the ALM Suite and I also use it for Software Testing for my application. One thing that this tool made sure was the ease of developers. It integrates itself to other software like Visual Studio in my case to make handling easier for the developer. "HP ALM for SAP Functional testing coordination"
I like how HP ALM offer many tools for testing, all integrated. You go from creating your test cycles, test campaigns, specifying your business requirements, to creating test scenarios. Optional tools like HP Sprinter can be used to record your test scenarios, and the script will be helpful for the persons in charge the testing. I like the integration with SAP: from solution manager solution documentation to SAP ECC, there are many connectors out there that can be used to transfer data from and to HP ALM. The tools offers so much possibilities that you can be lost at times. I couldn't find a simple user guide that would explain me all the options, or things I needed to do to execute my tests in an adequate way. Some features still need to be polished. Some things that should just be copy and pasted can't, and require you to do the same tasks again and again. To be used perfectly, many concepts needs to be understood, which takes time. I was in charge of coordinating a SAP testing team, and HP ALM offers a lot for creating a very robust test campaign. HP ALM integrates well with other HP products and has all the necessary features required to test code coverage. It also manages test data, thus making it easier to test applications. Excellent bug reporting features and analytics dashboards as well. Learning curve is a bit steep and the application is not intuitive. Missing ability to edit multiple test cases together. Although it is expensive, it is a complete package. You get what you pay for. As a quality engineer, I used HP ALM to keep track of the entire test suite and track progress. It also served as a communication tool with the development team. ALM help streamline our testing process and organised the test cases and test scripts into manageable suites and releases. "A complete Test Management tool"
The end to end traceability of a release from requirements through test cases down to defects leading to full accountability of QA projects and activities. The history feature for each and every change made to any of the components inside any of the modules helps for a complete audit trail of the QA processes. I would definitely recommed this product to all businesses having a quality assurance practice. Its robust and capable of completely capturing and retaining the entire qa processes for the business. HP ALM serves as the one and only robust test and defect management framework for our company where the end to end QA processes for each and every phase are captured and audited for quality control and process improvements. "HP Alm helped me make project management, from requirements to deployment easier"
HP Application Lifecycle Management (ALM) solutions enabled our application team to deliver high quality apps with greater speed and agility. It's ability to represent information is weak. Testing takes time if you want to make it perfect. Loading takes quite a while before the invalid password message is displayed. It is good practice to learn as much as possible about the tool. It has many features that one may not be utilizing in one's area of work but reading about and watching as many tutorials as possible about the tool will be helpful in using the tool effectively. I am a tester and I have been immensely helped by ALMs Test Management Tool which solved the end to end daily tasks of a tester. The benefit for management was the ability to manage a large team, working on a large project, with multiple components, all at the same time. "ALM for end to end Test Management"
Need better seamless Integration to other non micro focus tools. "It is helpful for testers to track test process but it is not user friendly"
I can't upload test cases from Excel to HPQC using add-in (Excel 2013, HPQC 11.52). I can't load HPQC using safari on my Macbook (HPQC 11.52), which is very inconvenient). It takes long time to load the HPQC and the server is not stable. It can help to improve the project quality if use wisely, e.g. defining processes for defect and test progress tracking among multiple projects. Define test workflow to allow developers, tester and project managers to track the progress easily. Generate test cases execution report in different forms easily. The best feature of HP ALM is the traceability matrix against the tests covered. I have used that feature a lot for one of big project. It gave us a good feedback on test coverage so as to know which requirements are covered and which are still pending. Thus, minimizing the risk involved with mising requirement. Also, this is the unique feature of HP ALM, which is not found in other test management tools. The other functionality is the ability to add defects using ALM, which provides an end to end solution from requirement tracing to test case preparation to test runs, reports and raising bugs and linking them to tests. There is no way to set up a communication channel or a feature so that content can be added apart from files upload. HP ALM has lots of users which are often not known to lot of users. Probably more user knowldege, easy os training videos or stuff like that might help bring awareness to make the most of the tool. I am a tester and I have been immensely helped by ALMs Test Management Tool which solved the end to end daily tasks of a tester. "I manage test cases, create test sets and execute test sets using manual runner and log in defects. " The fact that testers can ling defects to test runs is awesome. Also, for any status change or mandatory fields changed during the workflow, an email is triggered from ALM and sent to Assigned Tester of the project. ALM is also s great tool for auditing purposes. It is a great tool. One minor issue is the fact that the application takes long when initializing and there is also major delay when the wrong password is typed when trying to sign in. Loading takes quite a while before the invalid password message is displayed. I am using manual runner to execute test sets, linking defects to these test runs as they are found and assigning defects to developer to developers. I am also using the tool to audit testing practices that testers are implementing within my team from reports pulled out of ALM. Through the audit we have realized that testers may welcome opportunities for more training on the tool. Also, with defects linked to given test runs, testers have the ability to use defects logged as reference to easily resolve similar issues that arise when testing is in progress. "Great tool to manage the entire application life cycle - from requirements to testing "
I like how requirements can be linked to tests (both manual and automated). The best part is how end to end testing is possible with and without BPT for both technical and non-technical members of the team. I like the integration of tests to defects and the reporting that helps visualize the status of any project at any time. Within setup of test cases and test sets, I like the linking of output fields, there has been a lot of improvement to this feature. Would like to see more options in selecting the test scenarios that we would like to run for test sets. Sometimes it makes me feel like there are a lot of manual steps involved than required. I also feel that the BPT can run a bit faster, just like actions. Great tool to be considered if you are planning on keeping track of your requirements, its coverage with manual and automated testing (using UFT, which is another good product from HP), Tracking defects and more. Everything that you will need to manage the lifecycle of an application. We implement test automation frameworks for organizations and help them create end-to-end scenarios for regression testing. We are reducing time, effort and resource involved if the same was to be done manually. Further, we are able to hit all the major risk areas by using a simple framework that can be used even by business analysts and manual testers making automation as simple as it should be. "HP ALM user as a Senior BA with focus on defect identification throughout product life cycle"
Requirements, Test Cases, Test Execution, Defect management are easily available in one place. Defects could be tracked with the flexibility to add new fields per organizational requirements and could be used for better management. Feature to bring up report from HP ALM for senior management to expedite the trends in defect management process and improve on it. Not easily navigable between multiple defects at the same time. Not readily supported by other browser types. Business problem - Agile development requires shorter development cycles and an efficient and fast defect management process. Also we need to produce report from HP ALM which show cases the correct state of the project in terms of the defects. Benefits - Using HP ALM with some customization on the fields we are able to effectively manage the defects using each cycle of development and also reporting on the defects from HP ALM. "HP ALM User and Admin Experience Feedback"
Administration is not as friendly as others. I highly suggest that upgrading and administering the tool should have a great step by step instructions in the help menu for admin and also in the documentation. I highly recommend HP ALM for any company that is thinking of evaluating a Test Management Tool. Over the years, HP ALM has improved its ability managing test data, requirements, and defects. Because of the flexibility of HP ALM it can cater small, medium, to large enterprises. "Very good tool for a process oriented organization." ALM allows you to implement most of the common SDLCs followed in the industry. It allows a lot of customizations as well. I like the Test automation model a lot. It has to be an advanced web app which people can use like facebook. We implemented the complete QA Process around it. It was very useful in test automation as well. We could track requirements and test cases very effectively. Tool was highly customizable and that helped a lot. ALM increases the collaboration among remote teams working in a Sprint or Release. "Been using HP QLM actively since 6 years"
Well HO QLM basically used for continues integration, reporting, defect management and manging a wide variety of projects. Things that I really appreciate and like about the software are it's a great tool for managing the project and makes it very comfortable for managing everything centrally. Secondly, it's a great for reporting, documenting, managing test cases and defect tracking. Could be more user friendly and would be wonderful if it could integrate with third party tools. Server navigations seems limited often. Traceability matrix is very clear and apt. Makes defect tracking very easy and helps me keep track of almost everything that the project is by far involved in. HP ALM is robust and intuitive tool. It includes all (and much more) stuff needed to manage entire test management process. It has many of integrations not only to development tools (visual studio, eclipse, SCM and Build management tools ) which keeps your requirements, bugs or other entities synced with other systems/. HP ALM is quite expensive. On the other site HP provides interesting license policy which helps you to fully occupy ALM license. HP ALM includes many build in tools (for reporting, release management, risk analysis, HP Sprinter...etc) you should consider while evaluating this tool. It offers whole framework for application lifecycle management , but you can use also just some parts (module) of it independently. This tool does everything for the software life cycle. It allows requirements and test cases to be mapped along with tracking defects. Extremely robust. The Dashboards for reporting could be better and more intuitive. If you can afford it, this is the most robust tool for software testing. It consolidates at least 4 others tools into one realizing a huge cost savings. We are writing test cases for an ETL process. We have realized benefits of not having to change tools even though we witched from a waterfall approach to SCRUM agile. "A very nice application lifecycle management tool"
This is a great tool for somebody who is a fresher or somebody who is new to testing. The reports are very detailed and accurate. You can create detailed test plans and test cases and also link them to respective requirements and also link defects at the same time. we have multiple projects in our team and we wanted to send email notifications to the developers and testers when the defects are logged. Quality center is a very customizable product and we were able to achieve what we wanted. "Very good, complete, but you need a powerful server and computer to use it"
There is everything necessary to the whole software testing life cycle and it's all customizable. It is slow and freezes sometimes, nothing else. I like HP ALM very much and intend to keep working with it. It's a very good and complete tool, it has everything you need to your testing. If you have someone with good knowledge of it, he will be able to customize the entire HP ALM for your business needs. You just need to have a powerful server to host it. Its is best tool for all kinds of management. It has good User Interface. Good for managing test cases. Quality Center helps in analyzing test results. It hangs a lot and application gets crashed sometimes. Quality Center is very costly and not available free of cost. "One stop shop product for QA needs"
BPT, Requiement management, Test case and Run management, Integration with UFT. It is a completly a centralized test managment tool. "ALM Leads the way, but is it getting left behind?" I've primarily used HP ALM as a test planning and test execution tool. I've used it at multiple companies as a quality industry-standard tool. HP ALM provides for easy requirement traceability in the Requirements module (though that relationship is easily broken). It has robust reporting capabilities--far beyond what I found necessary for the scope of my work. It's fairly easy to parameterize a test case, in order to perform data-driven testing. It was easy to look at a list of test cases/configurations and see which ones had been executed. I've always liked the defect tracking in ALM. It's easy to create a bug while executing a test and tie it directly to the step being executed, or to create a general bug and list out the steps to reproduce. I wish you could dock/undock the screen when creating test cases. The text on the screen is entirely too small to read it as you enter the text, or as you try to execute a test case, and there's no way to increase the font size or change the font. There's no way to change the default font size/type. Once I parameterized a test case, I found it difficult to work with the test case configurations. I couldn't create a new suite of test case configurations as a new test run/test build without creating copies of EVERY test case configuration when often times I only wanted a subset, meaning I had to delete the configs I didn't need/want. Once I have multiple configs built, I want to be able to manage them as individual tests. It was easy to filter a list of test configs to find out which ones I owned, but without creating a report, I couldn't view all the test cases I owned across multiple test suites. With a large team, working on a large project, there needs to be better visibility of the test cases/configurations not completed, and who owns them, or a way for testers to find all the test cases they own to make sure everything is completed or to find test cases that can be run, when some tests may be blocked by an issue. I wish you could create default text to be generated within the bug window when creating a bug so that standard information was entered and collected. When every tester follows the same format, and provides the same basic information (Summary, Environment, OS/Browser, Module/Feature/Function, Description with Steps to Reproduce, and Expected vs. Actual Results), it makes it easier for developers to reproduce an issue. The requirements traceability is fragile, and easily broken. In a waterfall environment, we used standard requirement documents, which we uploaded/attached to the requirements we manually entered into ALM. I saw several instances where someone updated a requirement or added the exact same requirement, without updating the traceability to an existing test case. Now you had duplicate requirements, but test cases that still pointed to the old requirement, or didn't point to any requirements. I would consider the other options available, such as JIRA or Rally, and how robust your defect tracking/reporting must be for the pace of your development. If you need robust reporting capabilities and defect tracking, ALM is unmatched, but if you need a light-weight, flexible solution, there's probably a better option. We used ALM for a big team, working on a big project. Upper management used ALM's robust reporting capabilities to see everything going on with the project. With those reports being so data-driven, it was important that everyone enter the correct data or make the correct selections, in order to produce the correct result and give management an accurate picture of the project. The benefit for management was the ability to manage a large team, working on a large project, with multiple components, all at the same time. "HP ALM Review William Havard"
I like the integration with other tools such as HP Sprinter. As a test designer I mostly use the test part of the software. In this section I like the business components part because HP keeps it pretty simple and no too load with informations. As a test designer, I dislike the configuration part of the testing tool, which is in my opinion too complex and not user friendly. For example when you modify parameters in your business components the parameters don't update automatically. You have to delete the parameters and the business components from the flow and then reload the business components with the modifies parameters. Also I think that HP should give us more flexibility regarding the manual implementation of the business components. For example it would be great if we could have a dynamic business components which evolve with the value that is assigned. We are currently designing test plan in order to test the implementation of SAP. The test will be executed by the business people. These people will then identify anomalies. As the project is still going on we haven't seen for the moment real benefits of HP ALM. I like that this program gives you one step at a time to complete with checks along the way. As you complete your testing, it also allows you to add pictures/proof of your testing throughout the steps rather than having to leave the program to use another screenshot app. It is not intuitive and can even be difficult for myself to use as an active user. Employees that I need to help me in a tight squeeze are unable to easily jump in and assist in the effort as gaining access is difficult and the understanding/training on the program is lengthy. Aside from the training taking a while to understand and complete, I still find myself in times of confusion as it is not intuitive. A new issue I recently ran into was being able to reopen attachments from steps within a test case after the fact. I needed to refer to a number within a screenshot in an earlier test case for a following test case and was unable to open the attachment leading me to have to complete the testing yet again. As I have not used another system prior to this one for testing and documentation purposes, I do not have the best basis to make a decision off of. Though, I would recommend that if a business decided to adopt HP ALM to have more IT literate employees assigned to this program as i is not intuitive. I use this program for testing of various financial systems and expense reporting system out of SAP. I utilize the program for routine testing of various SAP systems that I manage as well as for global projects. I do not tend to use this program for bug fixes rather strictly testing. We do not use any program/system really for bug testing as they tend to be quicker tests that don't necessitate documentation. I have realized benefits of global testing and documentation of such testing. I tend to test my SAP systems quarterly as well as when we bring on new company codes to support in our finance shared service center. This program gives us a standard system to turn to for all global partners on the project including IT and Bussiness representation. "ALM is great all-around testing and project mgmt tool"
1) manual testing can store screen shots, files, cut and paste data, as well as attached documents. Some of the sections appear very similar and may cause confusion to casual users. To inexperienced users, the "Cycles" are confused with Testing Cycles so beginners start using the Releases and Cycles definitions as Testing cycles like System Testing and UAT instead of properly using them as Releases (Projects) and Cycles (Phases). Hire consultants who have used it fully in the past and can guide you to setup all sections correctly and mentor you when starting. We use ALM for system testing, but we are trying to convince development area to use it for storing unit tests. Easy to find testing scope when you always link requirements to test cases. Next time you know the requirements affected by a project, you can easily identify all the test cases which cover those requirements. Report wizard can make it easy to show mgmt the testing status of a given project. "IV&V testing of a java based application in government space." I like the integration of ALM with the other HP products (UFT and LoadRunner) used for testing, and the ability it provides to create dashboards and summarize all relevant information into one view. This helps provide leadership great insight into testing activities and progress during software releases. I dislike some of the limitations of special characters. This can make integration and the syncing of data with other tools being used to manage software development more challenging than it needs to be. I would recommend considering HP ALM in combination with the other testing products offered in the HP suite. The built in seamless integration between the tools can save a lot of time. We are solving the lack of testing and specifically automated testing. The program has realized a major increase in quality of product being delivered to the end user by utilizing ALM to manage the testing activities. It solved the problem of bug tracking and regression testing and simplified testing process. Thank you for the 5-Star review; but, we'd really like to address the slowness in performance, which can be attributed to many variables. I would like to have one of our Customer Success Managers contact you and review the issues you are experiencing and define what could be causing that. Simply email me: david.shephard@microfocus.com, with your contact details referencing "G2C 1149167" and I will connect you. "ALM has a good idea of what it is used for, however, it is not user friendly nor is it efficient." The data storage is massive. It can hold thousands of defects for example that are being tracked during a lifecycle of a software. Not user friendly, it's confusing and not always helpful. The audit trail for each defect doesn't do a good job of recording past history and hence, data becomes hard to analyze. To track defects after a software M&A. Benefits are that it tracks a lifecycle of a problem but it's not efficient nor is it easy to use. The integration with Microsoft Visual Studio, TeamForge and Collabnet is one of the things I like about it the most. It contains tools for performance testing, test planning and functional testing. They are very much useful when you want to test. It should be open source, and it should support more than the key stake holders. I was working on a project related to version control system, and I used it to test the performance. I am using the HP laptop only. "Using HPE ALM for defect management - gets the job done"
Allows for effective management of defects. Can create logic within application to ensure the right teams to work on right defects. This may be related to the setup of the application: slow response from application, below average user interface. We are currently using this for defect management. We would regularly review defect backlog and ensure right level of attention is placed on the right issues. Tracking the stage of development in a defect. ALM client itself take a loot on system. It should be web based and light weight so that opening and closing it doesn't scare the developers. Tool itself behaves little buggy. Like defect detail window retains its position on Multiple monitors, and when second monitor is unplugged, then also defect details show up somewhere else but not on the main screen. It is useful but tool itself needs get more mature. "I worked with ALM at US Cellular"
ALM was easy to navigate once you get used to it. I like that I could see who run the test, how many failed and why. It was easy to keep track of what was going on. HP ALM seemed complicated to me at first. I worked with ALM at US Cellular, it was a great tool to run the test on their scripts written for US Cellular applications. - It's a complete tool for managing applications lifecycle. - No need for additional tools. - License pricing(especially floating licenses). - Huge updates from HP QC to ALM. - Make this tool independant from protocols. - Suggest more type of licenses with lower prices. - Enhance the QTP tool to support more technologies. As member of QA service, we have the objectif to test multiple applications with very low ressources. ALM saved us alot of time and ressources since it's a complete set of tools to manage applications lifecycle. Best tool testing, defect tracking and management. Quality Center is a Web-based test management tool, you can organize and manage all phases of the application testing process. It’s a very nice tool that can hold everything you need for project work. Excel-add in helps in easy upload of data to QC. "Fits the use-case but interface can definitely use some work." Decent organization of test cases (folder structure is nice), able to sort different modules and build a flow of steps. Interface is not particularly nice to work with. Not intuitive...buttons are tiny and not user friendly. Not easy to move test cases around and build a bank of them that can be easily reused. I use this tool for testing purpose, tool has beautiful suite of features. Features like 'TEST PLAN''TEST LAB'and ''DEBUGS' makes user to validate the client requirements. Not much, but improvisation on the user interface is required. Testing various clients across Middle East, USA, AUS and UK reasons. "I am the HP ALM admin at AMC"
I love that all of the components are fully integrated and can be used enterprise wide for all of the SDLC. I wish it were chrome compatible. Alot of my users prefer to only use Chrome not IE, which makes it a hard sell. Its very expensive and keeps smaller companies from using it. "Straight forward and easy to use." Can create and track both test cases and related results. In terms of trends within the technology space, DATA IS KING. Therefore, invest in yourself by learning SQL. test applications, benefits are in tracking functional test cases, results, and defects. "User friendly compared to RQM"
I like that it is user friendly, easy to use and has a very nice layout. I can also say that it has more features compared to IBM's RQM in organizing test cases and test scripts. What I don't like is it crashes sometimes and we were not able to connect MS Excel to HP ALM to do automatic import of test cases. We were able to solve the problem to track our test execution day by day by having a standard report generated in HP ALM. "Global Concept Owner for Test Management Tools"
Getting requirements, tests and defects alltogether linked with each other to get understanding when my product is ready, how it's tested and what defects are still to be fixed. Sharing assets (Requirements, test cases and defects) over projects is troublesome. Required browser is limited to IE. Use all features from Requirements and testing to defect tracking and reporting. This tool make Testing and reporting quite easy and clear to all stakeholders. Managing the test scripts and Defect management. I used this tool for the various client facing testing projects. Its been very good experience. Test cases management, easy to maintain. Need better help section for newbies..!! "I use it to execute test cases on developed code." The UI feels a little bland, but it's not a huge deal. With ALM, I test software and fixed submitted code defects. * We monitor all Micro Focus ALM reviews to prevent fraudulent reviews and keep review quality high. We do not post reviews by company employees or direct competitors. Validated reviews require the user to submit a screenshot of the product containing their user ID, in order to verify a user is an actual user of the product. Hi there! 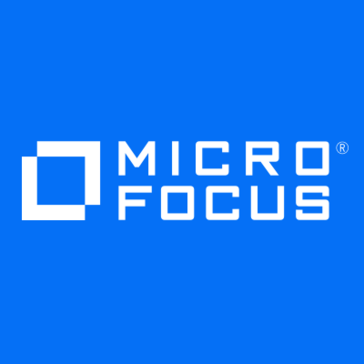 Are you looking to implement a solution like Micro Focus ALM?